England need Ireland to do them a favour in Cardiff on Saturday if they are to regain the Six Nations but No 8 Billy Vunipola dismissed the idea that they'll be tuned into events at the Principality Stadium before kicking off against Scotland at Twickenham. The Scots may have won the Calcutta Cup at home a year ago, but it is 36 years since they last won in London. Barring a freak scoreline, if Ireland beat Wales an English win will do for Eddie Jones' side. But the Saracens star says they will focus on themselves. "It's important we focus on the job in hand and they (Wales) have their own job to do," he said. "We have to leave all the other pieces we can't control over to those that can - what we can do is concentrate on turning up on Saturday and how we play. "I'd be lying if I said I was happy that it wasn't in our own hands but it's like anything in life - whatever happens before our game will happen. 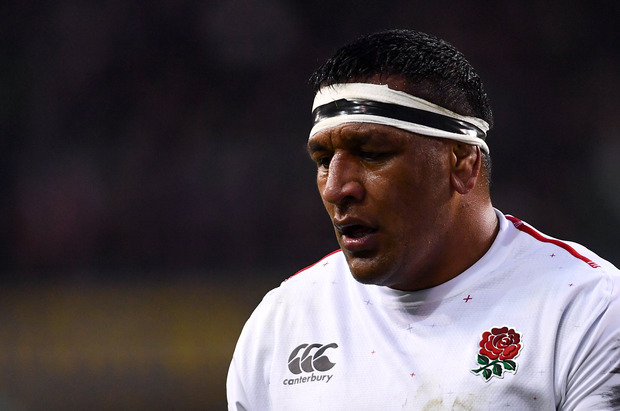 We just have to put our best foot forward at Twickenham." Although Scotland have an injury crisis going into the game, England are expecting a tough clash. "We expect them (Scotland) to be abrasive and they will come here looking for the biggest performance of the Championship," assistant coach Neal Hatley said. "Everybody finds a gear coming to Twickenham to play England. They'll be fired up and ready to play, as will we. "It's important to finish with a win. We talked about winning at the start of the Championship. Now it's just this game that's important for us. It's about beating Scotland." Wales out-half Gareth Anscombe is relishing the big stage at Cardiff this weekend. The New Zealand-born pivot has wrestled the No 10 jersey from Dan Biggar and is relishing his battle with Johnny Sexton as his side go after the Grand Slam. “You have to try and enjoy it,” he said. “It is difficult to, but it is important to look around the stadium at times and look where you’re at because we may never get this opportunity again. “Hopefully we are successful in the years to come, but you have to get a little bit of luck to be where we are. It is going to be a huge occasion and one I’m looking forward to. “We know we are going to come under a fair amount of pressure during the game and what’s important is how we respond to that. On the challenge of facing Murray and Sexton, Anscombe – who is unbeaten in a Wales jersey when he has started at No 10 – said: “To some extent they are always going to have an impact on the game. Certainly we need to put pressure on them. “They are a hugely influential bunch and they control that team. We’ve got to make sure we make life as difficult as possible for them as they are world-class operators and have been for a long time. Grenoble flanker Antonin Berruyer, who won the World U-20 World Cup with France last year, suffered a stroke last week. The club yesterday revealed the news that the 20-year-old would miss the rest of the season. “Antonin Berruyer had a stroke last week,” a statement said. “This accident happened at night in his room at the training centre. Long before he was dropping the goal to win Ireland a historic Grand Slam in 2009, Ronan O’Gara was plucking victories over Wales out of the fire in dramatic circumstances. At the end of a thrilling game, Stephen Jones nailed a drop-goal to edge the hosts in front but O’Gara delivered his own effort to put Ireland in front. The visitors then needed some assistance from Denis Hickie who rushed up and blocked Stephen Jones’ attempted winner. Wales thought they had advantage for a deliberate knock-on, but the whistle never came. Ireland – G Murphy; J Bishop, B O’Driscoll (capt), K Maggs, D Hickie; D Humphreys (R O’Gara 70), P Stringer; M Horan (D Fitzpatrick 75), S Byrne, J Hayes; L Cullen (D O’Callaghan 70); A Quinlan (E Miller 76), K Gleeson, A Foley.